Are you a store manager for Hot Topic? 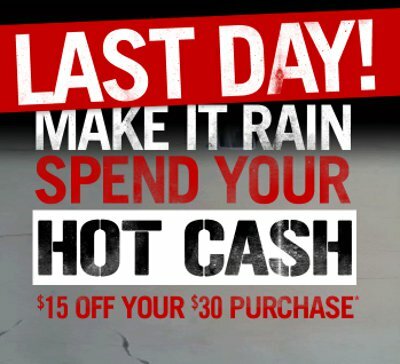 HOT CASH- GET $15 FOR EVERY $30 YOU SPEND! For each qualifying purchase of $30, $60, $90, $120 or $150, receive a corresponding of either $15, $30, $45, $60 or $75 off a future purchase. Offer valid in stores through through January 8, 2012. Visit Hot Topic near you for details. BOGO 50% OFF EVERYTHING AT HOT TOPIC! Offer available in stores. Limited time only. See store for details.